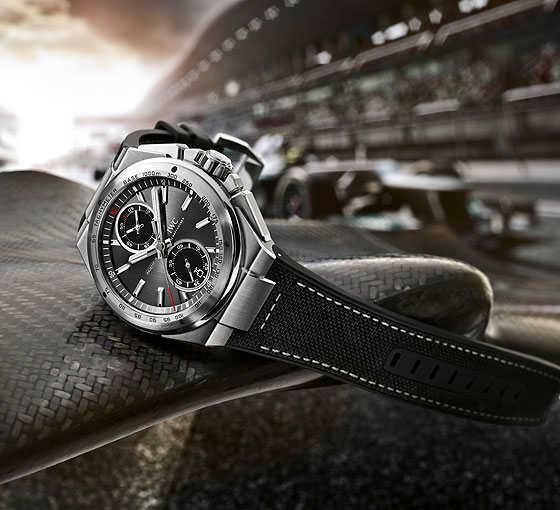 2013 is all set to be the year of the Ingenieur for IWC, and to start the ball rolling, or more accurately, the engines roaring, they will start the new year with the introduction of the Ingenieur Chronograph Racer. Like many sporting watches in cluing the AP’s Royal Oak, the Ingenieur owes much to the sporting watch design genius of the legendary Gerald Genta. But as 2013 will mark the first year that IWC and Mercedes-Benz-AMG will be working together in the Formula 1 racing arena, an overhaul, revamp and general reconsideration has been declared. IWC CEO Georges Kern regards the new era as the perfect time to update the Ingenieur collection, taking the opportunity to introduce materials used regularly in motorsports (not to mention many watches), such as carbon fibre, ceramic and titanium, and we can also expect IWC designers to be spending long hours poring over the cockpits of Formula 1 cars for watch design inspiration. So far the Ingenieur Chronograph Racer is the first watch for which photographs have been released. The watch has a stainless-steel case with the Genta inspired five visible screw bores in the tachymeter-scale bezel (Genta first introduced these in his design for the Ingenieur SL). As with all chronographs, the tachymeter, used in conjunction with the chronograph, can be used to measure speed over a certain distance. The watch comes on a new rubber strap with a textile or leather inlay. The Racer is also available with a steel bracelet with a button-operated fine-adjustment clasp. Expect several new models to be on the starting grid at SIHH for IWC. New models to look out for will include complications such as a tourbillon, perpetual calendar, digital big date, and moon-phase indicator. Limited Editions will be the one thing seemingly not limited, several Mercedes AMG-inspired watches will also be produced. No word on prices yet. 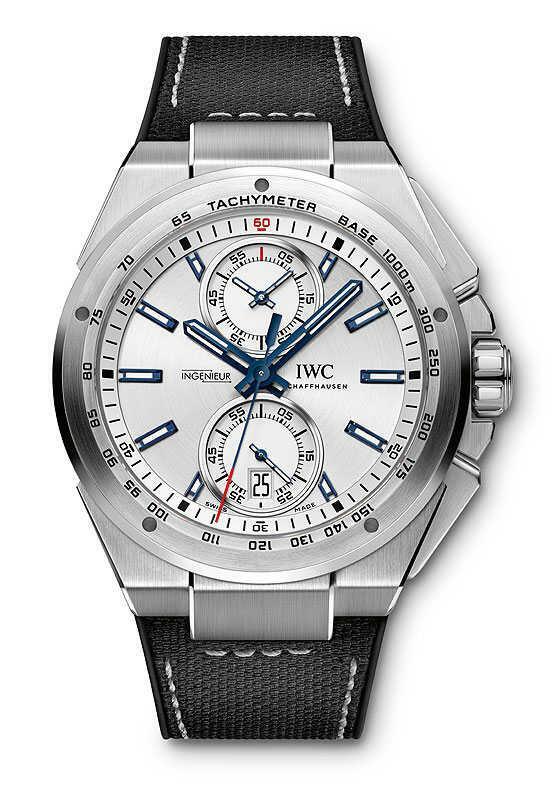 I'm looking forward to see the Mercedes watches, IWC is spectacular!